The protagonist, known only as K., arrives in a mountain village buried under deep snows in the middle of winter, with the looming, titular, castle above it shrouded in mist. Attempting to gain contact with the inhabitants of the castle, the officials who run the bureacracy that governs the village, K. repeatedly finds himself misunderstanding and transgressing the multitude of confusing and contradictory rules and regulations that dictate the daily life of the villagers. Kafka’s atmospheric and brooding tale of extreme bureaucracy explores themes of solitude, isolation, loss and companionship. David Zane Mairowitz is an author, playwright, radio director and translator. A professional freelance writer for 40 years, he has published numerous books, including Introducing Kafka (with Robert Crumb), Introducing Camus, and Wilhelm Reich for Beginners. His theatrical plays include a critically acclaimed version of Kafka's The Trial. He previously adapted Dostoevesky's Crime and Punishment and Kafka's The Trial for SelfMadeHero. Jaromir99 is a Czech singer, songwriter, and artist who is best known for his work with Jaroslav Rudis on the comics trilogy Alois Nebel. Alois Nebel was turned into an animated feature of the same title that premiered to great acclaim at the Venice Film Festival, and was selected as the Czech entry for the Academy Award for Best Foreign Language Film in 2011. 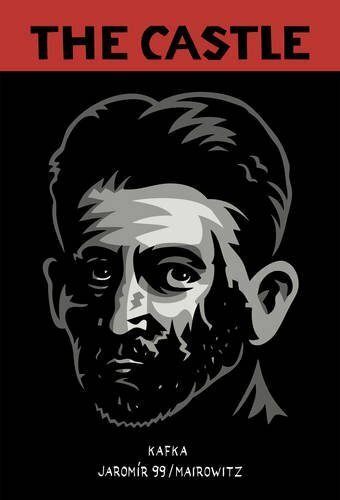 Franz Kafka (1883-1924) was a major fiction writer of the early 20th century. He was born in Prague, Bohemia (now the Czech Republic). Most of his work was published posthumously including The Castle, his final work, which was left unfinished at the time of his death. He is considered to be among the most influential writers in Western literature.